Do print campaigns still have a place in this high speed digital world? Unsure? This blog may help explain a thing or two. 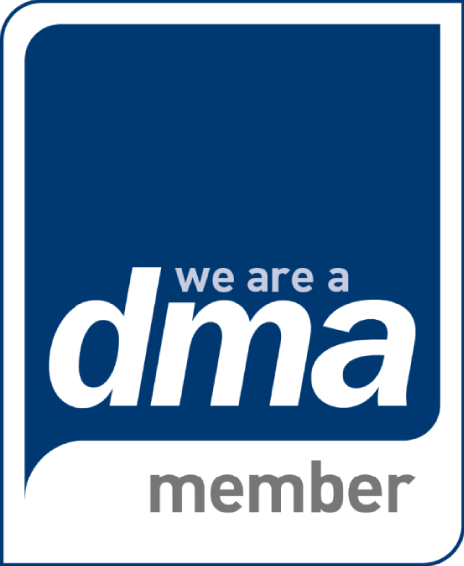 As a creative agency, we often get asked this question and this is what prompted me to attend an event hosted by the DMA titled ‘Print is different’. With presentations from JICMAIL, Canon and Royal Mail, it offered the opportunity to discuss the effectiveness of print campaigns, in a world where social media is taking precedence. As a designer, I love print! Receiving something through the post is more tangible and permeant. It invites physical interaction that I believe make it more memorable for the recipient. It can also be a welcome break from viewing vast quantities of content onscreen, as it is less tiring on the eyes. But am I alone in this viewpoint? There seems to be a feeling that print is outdated as a marketing medium, an old dinosaur in a digital age where social media and online platforms are the new way to reach your target audience. However, is this assumption true? The Joint Industry Committee for Mail (JICMAIL) delivers industry-standard audience measurement data for advertising mail and door drops and provides a great insight into the value of print. 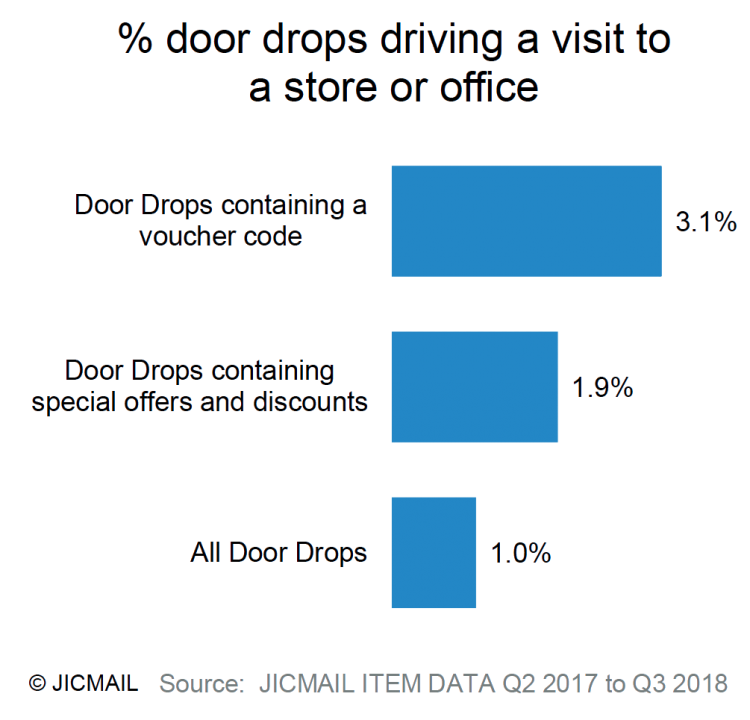 JICMAIL discovered through data analysis of the heaviest digital media consumers, that they show above average mail interaction rates from direct mail and door drops. This is surprising result, but it reinforces the message that print shouldn’t be forgotten. So why is print being overlooked? Print costs maybe a factor in the desire to use digital mediums instead. 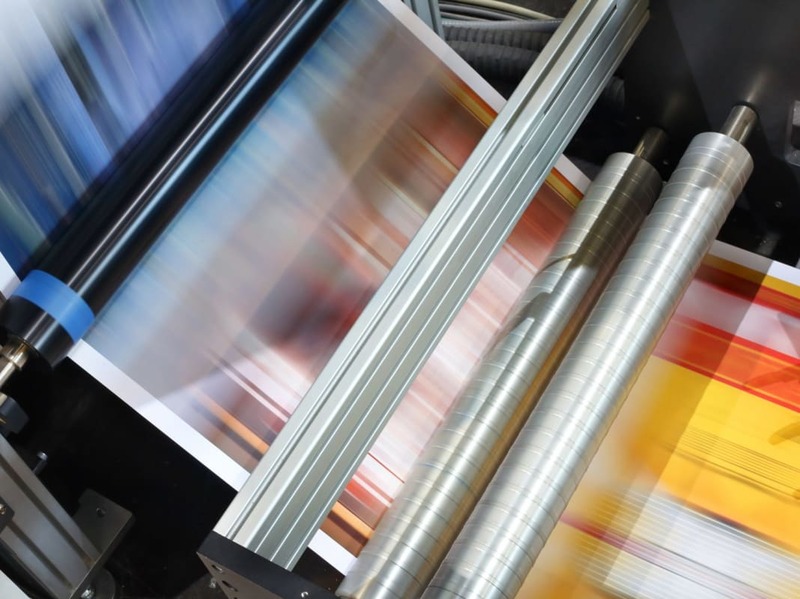 Print campaigns can be costly, so careful consideration is needed before choosing this route. When targeted successfully, JICMAIL share further stats to show door drops can really drive visits to a store or office. The most impactful being those containing a voucher code, with a special offer or discount. Meaning that people are taking notice of what is coming through their letterbox. But what is the journey of a mailing item after it arrives in someone’s home? JICMAIL look at how an individual household dealt with the item, showing all the physical and commercial actions taken like sharing, going in-store or phoning the sender. The above example shows how a male in the age category 45-54 interacted with a flyer from the supermarket Iceland. This detailed product information and special offers. Over the course of 26 days the respondent interacted with the Iceland mailout 19 times in total. He received the item on the 13th, and put it aside. He then returned to it on 6 separate occasions, discussed it with someone on 4 of these days, and proceeded to purchase a product on 3 of them. This shows the power of print and how a printed item essentially becomes a poster in someone’s home. In this case it prompted the recipient to purchase several of the products featured, before finally being discarded 26 days later. When creating a print campaign, timing is key. As the JICMAIL figures above suggest for the finance market, sending out a mail item so it arrives with the recipient at the weekend drives more website hits. Perhaps this is due to the content? Within the finance sector it may require more time to process this information, therefore recipients respond better at the weekend, when they generally have more time. For other sectors it may be different, which is why it’s vital this analysis is carried out for the best results. Royal Mail worked with The Liberal Democrats in the 2017 election campaign providing insight into how mail and door drop worked to influence voters. They found that the percentage of people who recalled seeing communications that helped them consider political issues over a period of 3 weeks, was significantly higher for door drops and addressed mail than social media. To discover why this might be they also did a survey to find out how many people agreed with the statements above. The results suggest when it comes to important information (in this case to form voting decisions) people are more open to print even if it is promoting viewpoints they are not in agreement with. 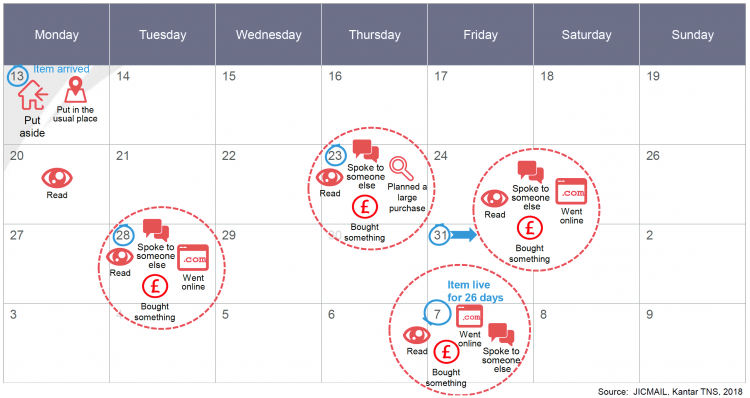 Canon have been working with the retailer bonprix on their automated marketing campaigns. Bonprix send out millions of printed catalogues to their customer base. 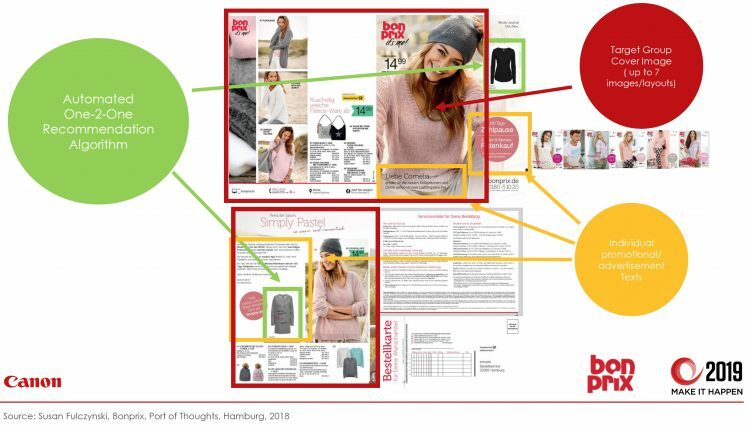 They use data captured online to personalise the outer sleeve of the catalogue to feature products that the recipient is interested in. This sees a higher response rate than standard content. They tested this by recreating a direct mail piece that originally had a response rate of 23.5%. They changed the imagery and offers to target three different segments; ladies, men and unisex. The piece sent to the female customer base, detailing solely women’s fashion, saw a response rate of 55%, which is more than double the original piece – impressive! This shows that it really pays to personalise content when you can. Canon offer programmatic printing to their clients for specific targeting. Items left in online baskets is a big problem for retailers. Bonprix can now use this technology and send out a direct mail reminder to those customers, which can arrive through their letterbox as little as 48 hours after the item was left in the cart. This can be extremely powerful, combined with a discount code, to tempt the recipient to complete the purchase. Far from being close to extinction, print definitely still has a place in the marketing mix. The more emails we receive the more physical mail stands out. It seems I am not alone in appreciating this format and wanting to utilise it to the max. 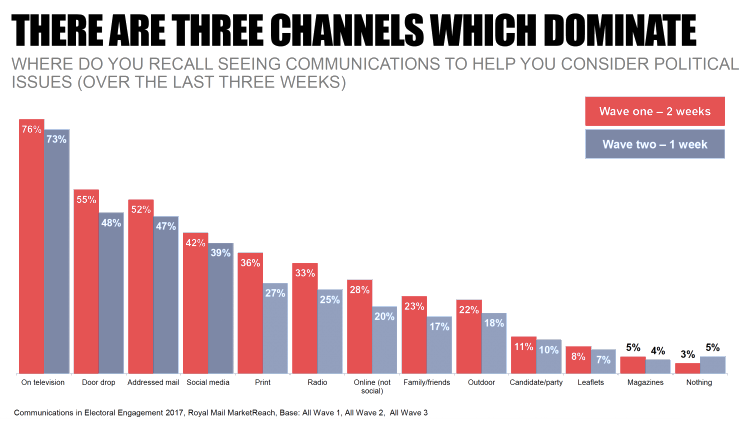 It should be used alongside other channels; combining paper and digital communications to get the best results. This intrigued me and I was looking out for the post. When it arrived, the handwriting style looked different from all of the other direct mail pieces. It put a smile on my face, and I think this is what really separates print from other mediums, the ability to make people feel special that you’ve taken the time to physically send them something.